On the computer - log into your CompanyCam account. 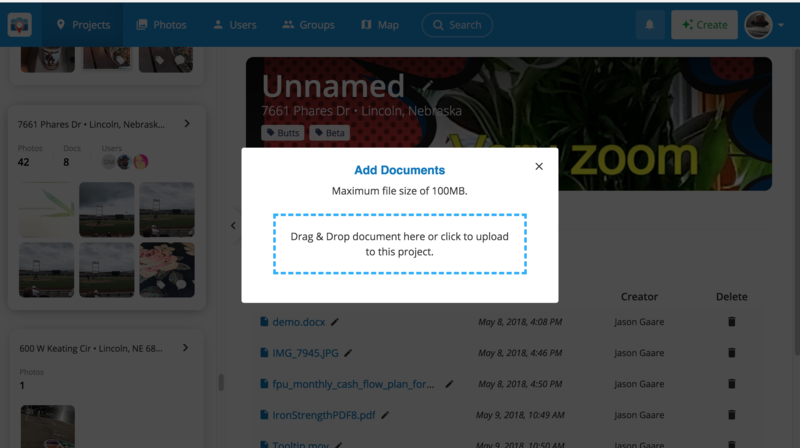 Select the project you would like to add the document to. Once you are in the project click "Documents" below your cover photo. 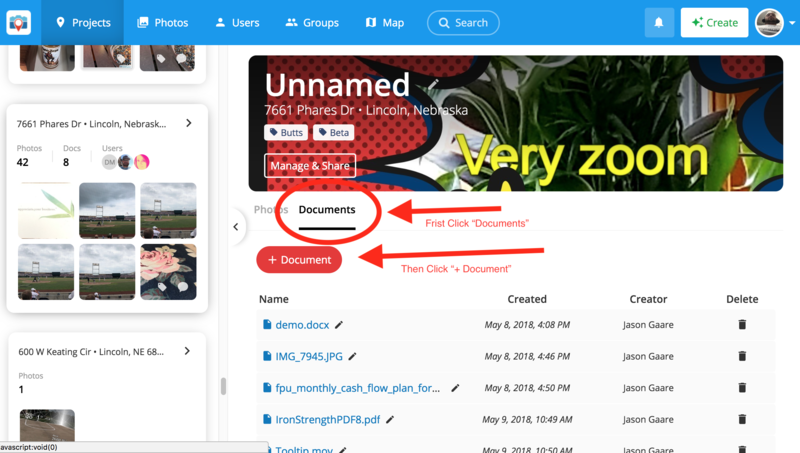 Once you have clicked "Documents" click the "+ Document" button. Next you will want to drag and drop or click and select the document from your computer. That's it! Thanks again for using CompanyCam!